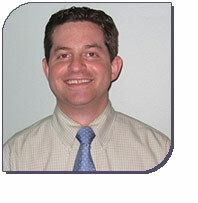 Dr. Edwin Brodsky is one of approximately two hundred board-certified veterinary oncologists in the United States. He graduated with honors from Tufts University in 1999. In 2003, he graduated second in his class with an honors degree from Louisiana State University School of Veterinary Medicine. He received his board certification from the American College of Veterinary Internal Medicine with a specialty in oncology after completing a residency in small animal clinical oncology. Dr. Brodsky was primary author on a recent publication regarding the treatment of dogs with T-cell lymphoma. He also co-authored another paper about canine lymphoma and a paper regarding novel targeted small molecule therapy in cats. Dr. Brodsky still has an active interest in evaluating new and existing therapies for dogs and cats with cancer. Dr. Brodsky joined VMCLI after practicing oncology on Long Island and in Connecticut for the last seven years. He also serves as the Medical Advisor to PAWS in Connecticut. He lives on Long Island with his wife, daughter, son, and five cats.